Adding one of TEMO’s state-of-the-art sunrooms to your home in Newark, Delaware, is easy when you choose SRA Home Products to handle the design and installation. SRA Home Products is a second-generation family-owned-and-operated business, and we’ve completed more than 5,500 projects since 1988. Strength — TEMO constructs its sunrooms using heavy-duty fully extruded aluminum, which is stronger than materials used by other contractors like wood, vinyl, and roll-formed aluminum. TEMO’s designs are certified to meet national engineering standards, and they meet the standards for high winds of up to 110 miles per hour. 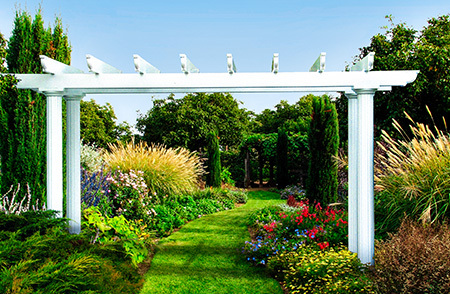 Endurance — The heavy-duty fully extruded aluminum used in our sunrooms resists deterioration, rotting, and insect infestation. 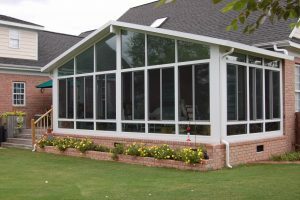 Additionally, each sunroom features a TEMKOR polymer coating that guards against scratches, dents, fading, chalking, warping, peeling, and cracking. Efficiency — Our sunrooms include TEMO’s exclusive thermal wall system, which offers an SPF of 59, or an upgraded SPF of 85. Additionally, our sunroom roofs are constructed using expanded polystyrene, which provides additional thermal protection. You can also rest assured in your decision to work with us because TEMO provides our customers with a limited lifetime transferable warranty, which you can transfer to a new owner should you ever decide to sell your home. 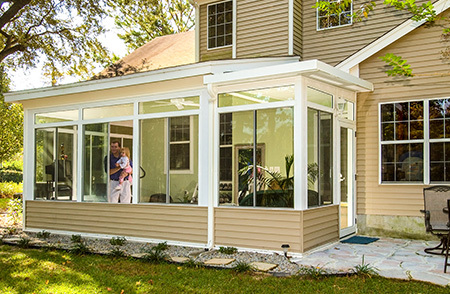 SRA Home Products is the best choice to install your new TEMO sunroom in Newark, DE, because we have an unwavering dedication to our clients, and we insist on providing you with the best possible craftsmanship and customer service. Our average employee has worked with us for 15 or more years, and our employees and staff are certified and factory-trained. If you’re interested in having one of TEMO’s beautiful sunrooms installed at your Newark, DE, home, please call SRA Home Products today so that we can provide you with more information about the design and installation process.